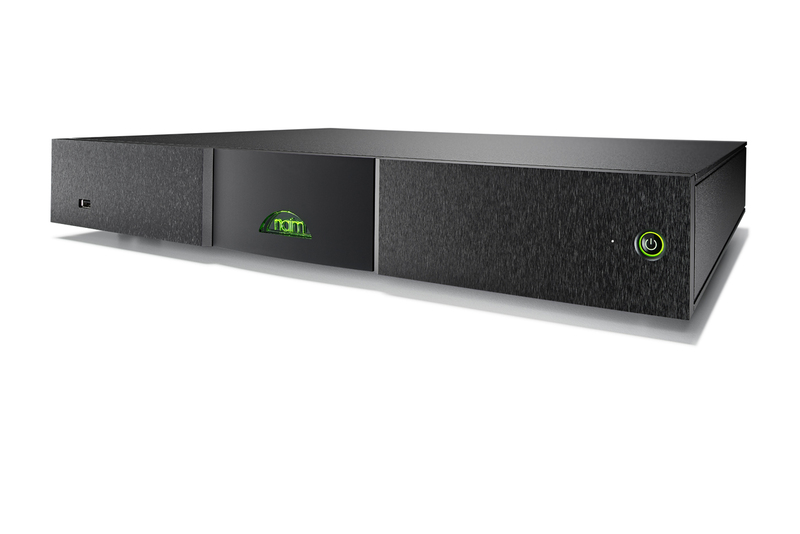 Naim Audio changed its Uniti line of integrated amplifier/streamer products in 2016/17. This left the Classic models holding to Naim’s older streaming system. That is all to change (almost) with the launch of three new standalone network streaming players designed to fit into the company’s XS Series, Classic Series and – for the first time – its 500 Series lines. The ‘almost’ part is that the NAC-N 272 network streaming preamplifier remains unchanged… at least for now. The three new network streamers are built on a good-better-best framework, utilising the same basic core devices, just dealt with to a higher degree in each successive model. The key feature to this is the use of I2S over LVDS (low-voltage differential signalling). LVDS is becoming increasingly popular in high-speed computer network systems because it offers very low radiation but retains the packetised data advantage of a separated clock signal. This is further enhanced by the company’s new ClockMaster device on the new NP800 streaming board. In the ND5 XS 2 and NDX 2, this board is mounted next to the converter, power supply, and amplifier boards, while in the ND 555, the board is isolated inside its own faraday cage. The ND 555 is the first product launched in the 500 Series in more than a decade and replaces the discontinued CD 555 as the source of choice for this reference grade line. The ND 555 has no internal power, requiring a separate 555 PS DR power supply (or two of these £6,999 power supplies, if you are exceptionally well-heeled). Like the rest of the 500 Series, it places great accent on PCB isolation and vibration control, with the circuit boards for conversion and amplification resting on high mass brass SpringBoard platforms, to decouple the PCBs from any vibration above 10Hz. The step up to the 500 Series comes with a lot of Naim’s own DR voltage regulators for the power supply feeds for each section – 13 in total. Add to this two laser-trimmed, selected PCM1704U-K resistor ladder DAC chips and a fourth generation SHARC chip for DSP, 6th order Sallen-Key filtration, and buffer wrangling. In essence, the NDX 2 and ND XS 2 are derived from the 500 Series platform, featuring a single PCM1792A and discrete filtering in the NDX 2 and a PCM1791A chip in the ND XS 2. Where the ND 555 can only be driven by a separate PSU, the NDX 2 and ND XS 2 are self-powered, although the NDX 2 can be upgraded with external power supplies. 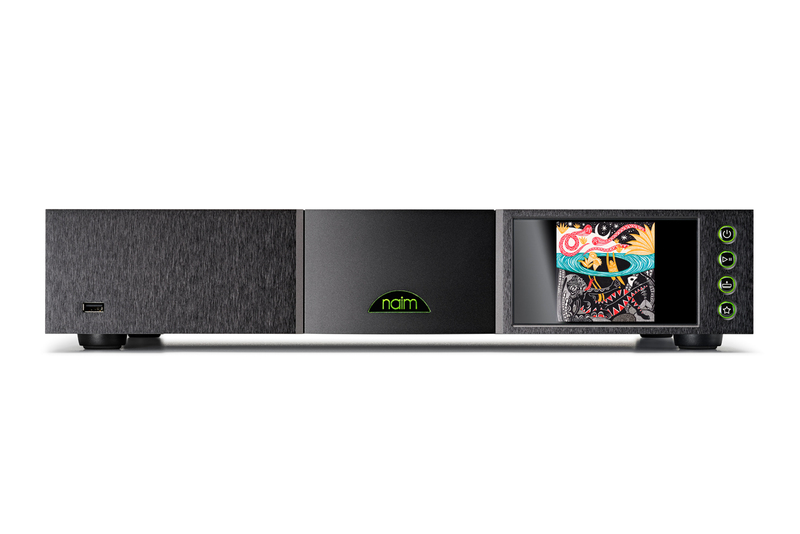 Naim has addressed the somewhat tricky problem of power management in the modern era, by including a switch-mode power supply for standby purposes, and the full linear PSU system for active playing, the SMPS disabling itself when the unit is fully powered up. All three devices are designed to perform to higher sampling rates than their predecessors; up to 32-bit, 384kHz PCM, and DSD 128. The new platforms are also Roon ready from the get-go, support gapless playback, Apple AirPlay and Google Chromecast (up to 192kHz if so supported by service providers), Tidal, and Spotify Connect. They all feature faster start-up times, bigger buffers, come with full multiroom connectivity, and support practically everything aside from MQA. They are also all controlled from a single app. This is especially important in the ND5 XS 2, as – unlike its stablemates (but similar to the Muso models from the brand) – it has no front panel display or controls, aside from a green light and an on-off button. The larger NDX 2 and ND 555 feature the five-inch TFT colour display and a quartet of hard-buttons. A select group of UK audio journalists had an exclusive tour of Naim’s factory and listening room in (now suddenly world-famous for more than just a cathedral) Salisbury. The new models require a new form of construction, too: where Classic products have been built on a conventional production line, the new Uniti and these new network streamers are built around two-person cell workstations. Every aspect of build and test is brought together into the single workstation in order to streamline production workflow. 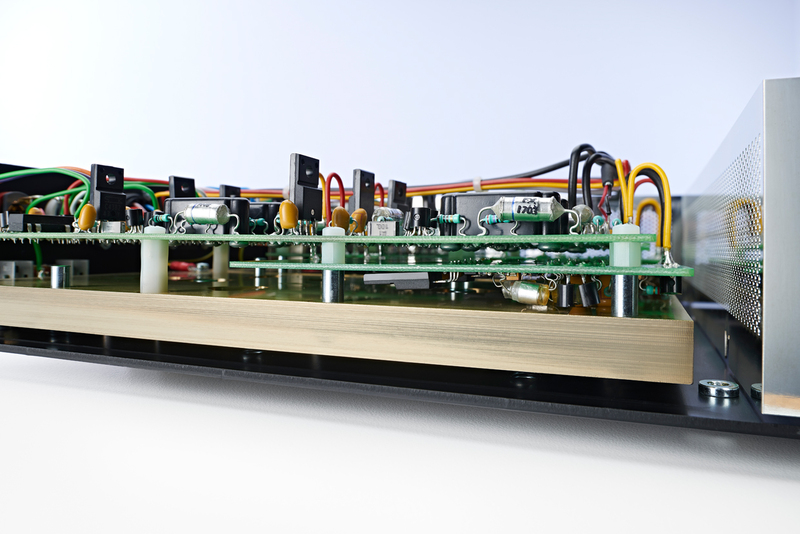 This was first developed by Naim for the Statement amplifiers and relies on sophisticated 3D modelling build diagrams. Presently Naim has five such cells in its factory and a sixth is being constructed. We were also given an exclusive audition of all three streamers, played through a Naim 500 Series pre/power amplifier into Focal Utopia Scala V2 loudspeakers using SuperLumina cable throughout. Each streamer was played, then take out of the system to prevent any form of cross-contamination. This is no more than a brief snapshot of the performance, but the ND5 XS 2 did not disgrace itself in the context of so lofty a system. However, a short burst of NDX 2 quickly showed where the money was spent and how easy it was to justify sonically. This simply had more information presented: we were played a Ryan Adams track and his voice became more plaintive and less whiny in the upgrade, with more body, substance, and separation to the instruments sitting behind him in the mix. We then moved from the NDX 2 to the ND 555 in the same system, this time moving over to Lyle Lovett. Once more, there was a greater sense of physical presence of singer and musicians, with at once more separation and – not as paradoxically as it sounds – more cohesion between the players in the band. After this we played a number of tracks (not just alt-country) through the ND 555, and it retained a sense of richness and organic depth to the sound, but not at the expense of the pace of the music (understandably, given the company it hails from). This was just a slice of how these players perform and the sound of the system wasn’t giving the kind of stereophony or bottom end definition I would necessarily seek on any of the tracks, but it did show up the good-better-best differences well. One for more investigation, I suspect. At this time, international prices are not forthcoming, but the UK prices (including VAT) are £1,999 for the ND5 XS2, £4,999 for the NDX 2, and £12,999 for the ND 555 (PSU not included). The products are expected for Summer 2018, although on recent form (both from the company and the weather) ‘Summer’ may come with snow on the ground.